This website is proud to feature pictures from our past. 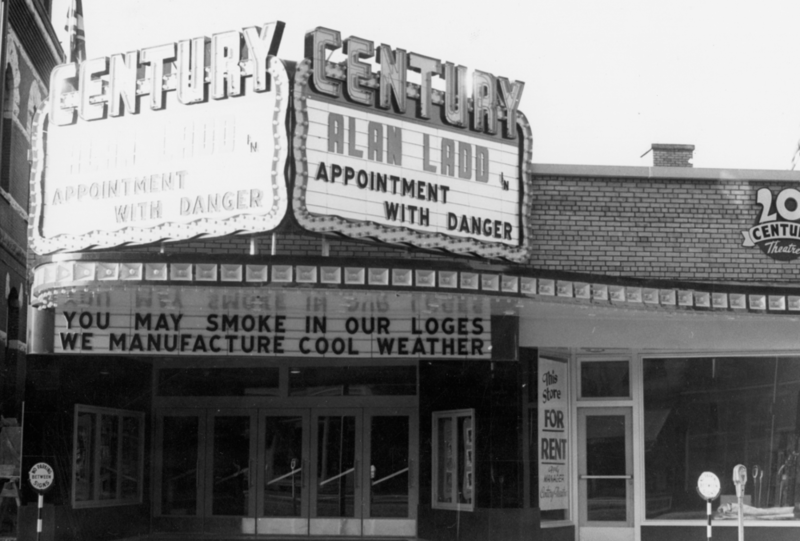 Opening in 1951, the Century Theatre was designed by architects Kaplan & Sprachman (K&S). K&S designed theatres from Charlottetown PEI in the east to Vancouver BC to the West. The building’s streamlined surfaces and neon-lit marquees, make this a part of the modern era of design. K&S’s designs brought thousands of Canadians into the “Golden Age” of cinema. Although the Century has changed over the years, you can see many of its original features. The theatre’s original projector is on display in the lobby! The Century Theatre is a locally owned business that shows all the latest releases using modern digital projection equipment and Dolby Digital Surround Sound. We hope that you will visit the theatre and enjoy a new movie in our timeless theatre.